A new series named “Badlands” will be shot in Washington with the help of the Crime and Punishment Museum. The series is an action-packed thriller. It will be the first series in 2012 to be filmed in the city. But the storyline has the show set in a fictional city called Three Rivers. Metropolis Studio and Movies developed the series and has partnered with the Crime and Punishment Museum for studio space. D.C. Councilman Vincent Orange, who also oversees the Office of Motion Picture and Television Development. facilitated the partnership. “Mr. Long has come here without any incentives and hasn’t asked the city for a dime,” Orange said. Charles Long, executive producer of “Badlands” and CEO of Metropolis Studios, says his budget for the series is $8 million and his time working overseas helped him build connections for funding. Orange says the city is working on an incentive package for other filmmakers interested in shooting series or movies, but a package that will benefit the city financially. Vaccarello says Long will have to pay for rental space, but since the museum isn’t in the renting business, the price was negotiable. Orange and Long both agree this will bring employment to Washington. “We’re looking at veterans, the unemployed and the under employed,” Long said. 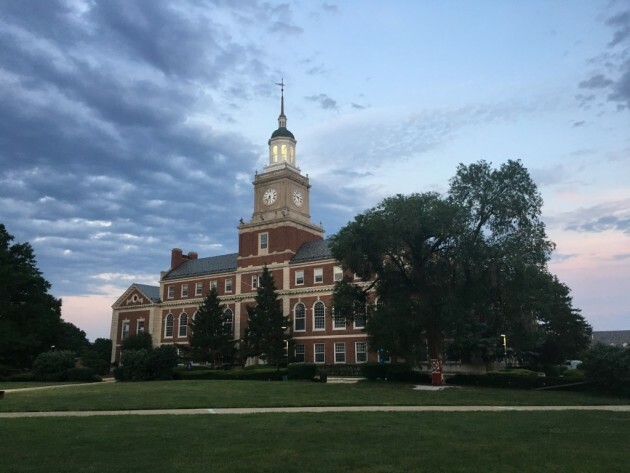 “Badlands” director Arthur Joseph Kparr, a Howard University alumnus known as AJ, says Metropolis Studios and Movies has reached out to the film departments at Howard and American University for training opportunities. Kparr says the show is in preproduction, but may air sometime in the fall. “Badlands” will include a female and male detective learning to trust one another while taking on crime between a wealthy family and a gang. Long will not reveal a network just yet, but says it’s one of the top three. Orange says the series will spark say DC can help other moviemakers see what the nation capital has to offer. “I’ve had the opportunity to travel out to Hollywood, and they have all indicated there are four obstacles with doing business in the District of Columbia for the movie industry,” Orange said. He says movie makers need: adequate soundstage, incentive packages, crews who can go home at night and not to a hotel, and less government control. In the meantime, Orange says, investors could help to develop a soundstage at 650 Massachusetts Ave.